There are numerous ways to enable business growth. Still, most companies focus solely on conventional ways such as sales, new markets, mergers & acquisitions etc. Few (and very successful) companies seem to value the power of knowledge sharing. Business leaders are constantly challenged by change management. 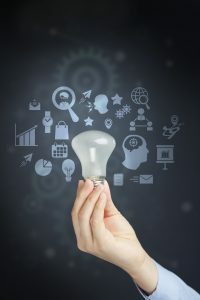 Since no one has answers to all of the numerous questions created by the 21st century’s global market, we are presented with a unique opportunity to enable growth by harnessing the power of thought leadership. Thought leadership is a unique and therefore quite important growth strategy for corporations. Services and consulting companies such as Deloitte, PwC and McKinsey do this very well. Smart business leaders follow their example of evaluating and sharing their best practices, knowledge-sets and talent to serve as powerful resources to fuel corporate growth. Entrepreneur and former C-suite corporate executive Glenn Llopis writes about the importance of thought leadership for corporate growth by highlighting some questions that business leaders should answer. 1. What Do You Solve For? Due to the ever-shifting market landscape, it has become very difficult for businesses to identify what they excel at solving for, not just with clients and partners, but internally with their employees. You should use thought leadership to overcome the traps linked to complacency which lead to your business’ commoditization. This will enable your company to grow not just as an “order taker” but by providing value-added components to your business model and making your client relationships much more profitable. 2. Who Are the Game Changers? Think about the people in your organization who are known for applying new ways of thinking to boost innovation and growth. These are the game changers. They know the mechanics associated with a specific line of business, recent challenges, trends and competitive pressures. Above all, they are great at identifying where the growth opportunities exist. You should know who these people are and facilitate them. 3. What Are the Most Effective Best Practices? You should be prepared to have a conversation about your best practices. These are the frameworks and methodologies that allow your business to operation efficiently and therefore more profitably. 4. Who Are the Subject Matter Experts? You should be able to identify subject matter experts who have seen the transformation in your business sector over the years and have implemented effective solutions. These people are different from game changers in that they actually touch the business and all its aspects on a daily basis. They are those leaders who have lived a long history filled with numerous client relationships and have excellent knowledge about their counterparts in your industry. Phil Rosenberg, President of reCareered, talks about how companies hire subject matter experts to solve problems. You should treat these experts as the go-to knowledge base to fuel your efforts of leveraging thought leadership. 5. What Are the Innovative Breakthroughs? What are the innovative breakthroughs that strengthened your business and enabled you to better serve your clients? Are there any new technologies or strategic investments that your business benefited from? As marketing specialist Greg Satell points out, innovation has become management’s new imperative. You should look out for new ways in which you can move your business forward because often breakthroughs that benefit your organization and clients are not recognized as such. You need not compare your company to the likes of Apple or Google – breakthroughs come in all shapes and sizes. Keep in mind that we are transitioning from a knowledge-based economy to a wisdom-based one. It’s not enough to just know. You must know what to do with what you know. This puts thought leadership in the front and center of every effort towards achieving corporate growth.